The tragedy of Northern Ireland’s “disappeared” was all the more painful because so many of these victims were young, a priest has told mourners at the funeral of an IRA victim missing presumed dead for more than four decades. 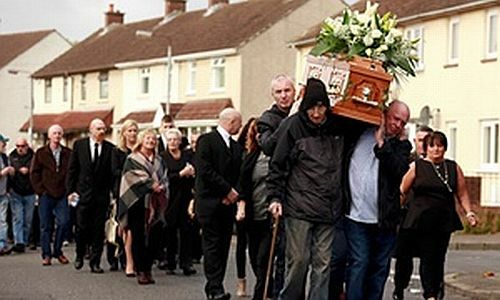 After 43 years ex-IRA member Séamus Wright was finally laid to rest in his native Belfast on Tuesday. He vanished in 1972 alongside Kevin McKee after the IRA suspected the pair of working as undercover agents for a secret army unity known as the Military Reconnaissance Force, which was carrying out a covert war against the IRA in Belfast during the Troubles’ bloodiest year. They are believed to have been abducted from their homes in west Belfast, driven across the border, interrogated, shot dead and buried in secret. DNA tests confirmed that remains found this summer at a bog in County Meath in the Irish Republic were those of Wright and McKee, whose funeral took place in Belfast on Monday. At a requiem mass for Wright at St Agnes’s parish church in the Andersonstown area of west Belfast on Tuesday, mourners heard that Wright was a “deeply committed” family man with a “strong religious dimension” to his life. 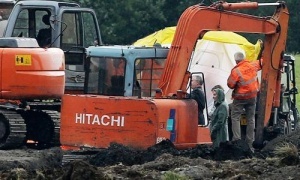 Digging is continuing at the site where their remains were found. 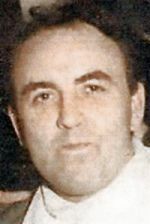 The Independent Commission for the Location of Victims’ Remains believes the remains of another victim, the former monk turned IRA activist Joe Lynskey, are also in Coghalstown bog. The most notorious case of the disappeared was that of Jean McConville, a widow and mother of 10 who was kidnapped, taken in a car from west Belfast across the border to the republic, shot dead and buried at a beach in Co Louth. The former Belfast IRA commander and hunger striker Brendan Hughes claimed the Sinn Féin president, Gerry Adams, had given the order for McConville to be killed and buried in secret to avoid political embarrassment for the republican movement. Adams has always denied any connection to the McConville murder or even being in the IRA. Four people remain on the disappeared list, three of them believed to have been kidnapped and killed by the IRA. The missing presumed dead include SAS Captain Robert Nairac, who vanished while on a covert mission in South Armagh. The other person on the list is Séamus Ruddy, a County Down schoolteacher and member of the Irish Republican Socialist party. He was abducted, tortured and killed by a faction of the Irish National Liberation Army in Paris in the 1980s. Despite searches in the French capital and in a forest in Normandy, Ruddy’s remains have never been found.